Just off of Highway 141 up the Nipissing Road a ½ km on right, this property offers 31 acres of privacy with hardwood trees. There is a gradual slope as well as a slight elevated plateau for building your perfect home! 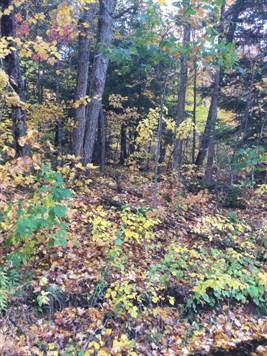 Property is also on school bus route and perfect time to view with the leaves off. Please call in regards to building location covenant! Measurement for road frontage is in metres.